February brought us the cricket World Cup, some thrilling European football, an amazing All-Star game, the Super Bowl and so much more quality sport that, as usual, we had you covered for on TheSportMatrix. Not only was it another fantastic month of sport, but here on TheSportMatrix.com we reached 1000 articles—a huge milestone as we continue to improve. With the transfer window slamming shut, all the speculation would diminish, before clubs began to really get on with the football once more, with plenty of European competition, along with leagues taking shape. To start the month, Arsenal shined in a statement-making 5-0 demolition which further sunk Aston Villa at the Emirates, while Southampton were dealt another blow to their top-four ambitions as they fell to Swansea, beginning a month which sent the Saints into a tailspin. On that same Sunday, Barcelona would come back from behind not once, but twice, before Lionel Messi scored the pivotal winner as they thwarted Villareal in La Liga. The sides would meet again later in the month in the Spanish Cup with the Catalanian giants once again prevailing. A big Ligue 1 clash between Monaco and Lyon ended goalless, likewise with Italian Champions Juventus who couldn't break Udinese. Ivory Coast finally experienced sweet African Cup of Nations triumph as the continent was paused to see the clash with Les Éléphants which would go down to some nervewracking penalty kicks. 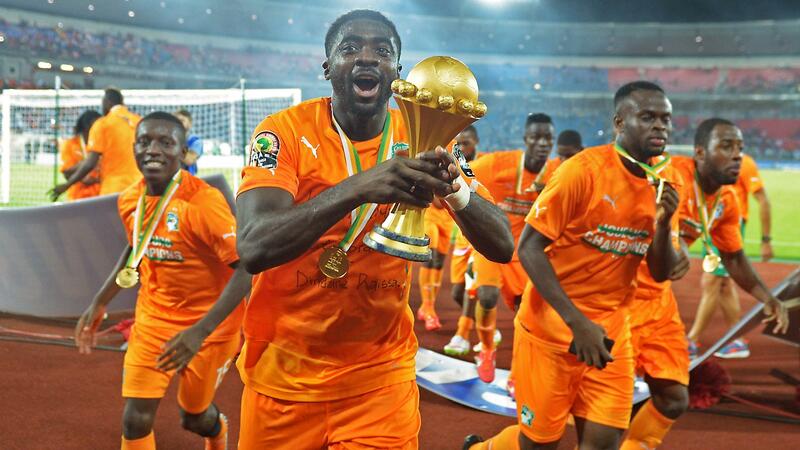 Gervinho and Kolo Touré's eccentric reactions would sum up the shootout, which ended with Ivory Coast winning 9-8. Saturday 7 February was known as the derby day of all derby days. It started at White Hart Lane, as Harry Kane's double lifted Spurs over their North-London rivals Arsenal, before Atletico put the style on a helpless Real Madrid at the Vicente Calderon. A spectacular volley from Saul Ñíguez was one of four goals put past Ancelotti's men, as they suffered their heaviest defeat in over four years. Steven Gerrard's final Merseyside Derby, however, was a much more dull encounter, ending goal-less at Goodison Park. Messi, Neymar and Suarez were all on target as Barcelona smashed Athletic Bilbao 5-2 the next day. Zlatan Ibrahimovic, meanwhile, equalised in the second-half for Paris to grab a point from Lyon. There was then a treat of Premier League football in the midweek. Mesut Ozil continued his impressive form to orchestrate the Gunners' win over Arsenal on the same night Mario Balotelli brought up the goods for Liverpool, as they edged Tottenham in an amazing encounter at Anfield. Chelsea scraped Everton, Manchester City dismantled Stoke while their fellow contingents United put away Burnley also in the 25th matchweek of the season. Liverpool would continue their roll while Southampton's month would worsen, as Coutinho's sublime strike and Sterling's effort put them 2-0 ahead. Tottenham shared the spoils with West Ham, while Everton, just like on the opening day of the season, drew 2-2 with Leicester City. The day prior, Swansea City recorded a famous double over Manchester United, while Manchester City bludgeoned Newcastle with an emphatic 5-0 victory. Zlatan Ibrahimovic celebrated a Ligue 1 goal against Caen by unveiling his new tattoos, but they had a far deeper, more important meaning. Scoring 2 minutes into the game, he had 50 names temporarily tattooed on his body of people suffering from hunger around the World, in an attempt to raise awareness about the World Food Porgramme's campaign against global hunger. Barcelona and Real Madrid continued to shove one another in the title race, with Barca the louder of the two sides with a 5-0 thumping of Levante. Reigning La Liga Champions Atletico were, however, stunned by Celta Vigo. Over in the Bundesliga, Dortmund continued to benefit from Reus' commitment, adding a 4-2 win over Mainz to their resurgence. Bayern Munich though were making far louder noises in the German league, as doubles from Müller, Götze and Robben, along with individuals from Lewandowski and Ribery, helped them to a phenomenal 8-0 win over Hamburger. In the next gameweek, they'd win 6-0, but Dortmund managed to see of Stuttgart too. Wolfsburg's rise also continued with a win over Hertha Berlin. European competition also returned in February. Shakhtar Donetsk—displaced 1,200km from their original home in Donetsk—held a 10-man Bayern to a goalless draw in Lviv, while Edinson Cavani salvaged a draw for Paris Saint Germain against Chelsea. The second batch of games would see Danilo's penalty settle the Basel and Porto game, while Real Madrid fired past Schalke at ease. A week later, Juventus would edge Dortmund in racuous Turin in a close meeting, while Luis Suarez returned to haunt Manchester City at the Etihad. The first-legged games would end with Monaco stunning Arsenal and Leverkusen overcoming Atletico Madrid. Before they did trample over Man City, a below par Barcelona fell to Malaga, while Real Madrid were not stopping for anyone, even if Gareth Bale found himself in quite the slump. Revitalised after beating City, Suarez torched Granada on the final day of the month. Everton were the last Brits standing as the Europa League Round of 32 came to an end. Their Merseyside cross-city rivals Liverpool, not without controversy, beat Besiktas after a Balotelli penalty at Anfield, but a response by the Turks and a penalty shootout rally would send them through, after Lovren skied the penalty. Fiorentina dismissed Tottenham, while Inter Milan sent Celtic crashing out. Ending February on a high, Swansea pushed aside Burnley and Manchester United prevailed against Sunderland, while Crystal Palace shocked West Ham at Upton Park. Dortmund also finished off a great Bundesliga month by defeating Schalke 3-0 as February drew to a close. All eyes were fixed on New Zealand and Australia as they hosted the 2015 ICC Cricket World Cup, and there were some amazing moments from the outset in the pool stage. It was a marvellous opening day for both countries, with New Zealand first, with the aid of Brendon McCullum's key batting display and Sri Lanka's capitulation, defeating the Asians by 98 runs. Then, as the Melbourne Cricket Ground packed to the rafters, England were embarrassed at the hands of a ruthless Australia who won by 111 runs. South Africa gave a good shout for themselves in the tournament as they hit the ground running, shaking of a poor start before Miller and Duminy's crucial partnership helped them top Zimbabwe by 62-runs in an all-African affair. Then, it all came down to India vs. Pakistan, and the Indians would show up their rivals as Kohli hit a century to outdo Misbah's courageous stand. The first shock of the tournament would be reserved for Ireland, who forced an early crumbling for the West Indies who were in dire straits at 87-5, but would manage to post 304 runs for 7 wickets. Ireland however chased down that total with grit and determination to win by 4 wickets with 4 overs and a ball to spare. New Zealand then continued their masterful form, topping Scotland by 3 wickets, before Bangladesh spoiled the World Cup debut of Afghanistan with a convincing 105-run win. United Arab Emirates put up a fight against Zimbabwe, but they would eventually roll over at the hands of the Africans. England suffered further World Cup woes from another host nation as New Zealand destroyed them winning by 8 wickets, while Pakistan suffered similarly, an abysmal performance against West Indies leading to more critics. Weather made it's first mark on the tournament in the 11th game, cancelling Australia and Bangladesh, but that wouldn't prove a hindrance to the rest of the tournament. Sri Lanka topped Afghanistan, and India made statements as they blew by South Africa in devastating fashion. England finally got a World Cup win under their belts as they topped Scotland before West Indies' Gayle made a record-breaking double-century against Zimbabwe. Ireland needed a lot of luck, but in the end defeated UAE before Afghanistan finally got a World Cup win. In their World Cup debut they won narrowly by a wicket against Scotland. After Sri Lanka found their feet to top Bangaladesh before AB de Villiers hit the fastest ODI 150 as South Africa overcame the West Indies, 162-not-out from 66 balls. It was a landslide victory for India who got done with UAE in no time, before a match between the co-hosts delivered the most thrilling game yet, as New Zealand scraped Australia by just 1 wicket. Irish sensation Carl Frampton blew away Chris Avalos, Arthur Abraham toppled a resilient Paul Smith, middleweight king Gennady Golovkin battered Martin Murray and Carson Jones controversially stopped Brian Rose in February's dosage of boxing. There was also some big news around possibly the biggest fight in boxing history, as the Manny Pacquiao vs. Floyd Mayweather fight was finally, officially, confirmed. 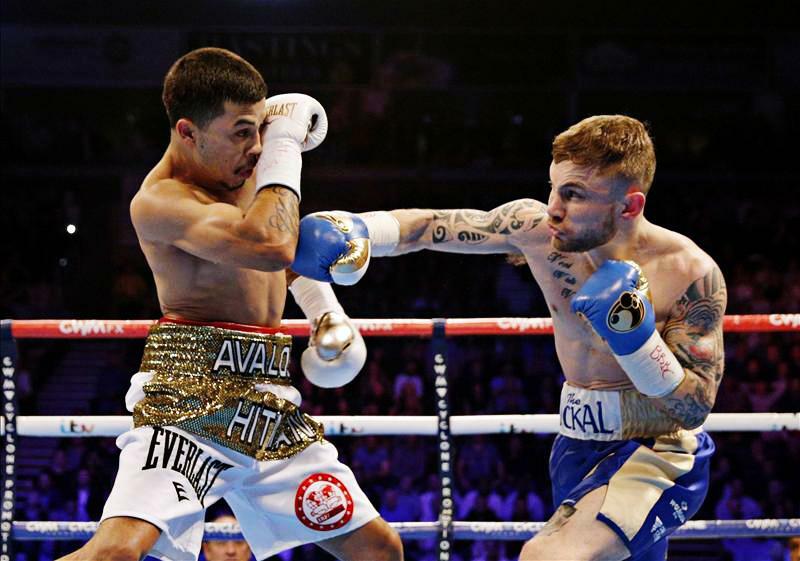 Carl Frampton retained his IBF super-bantamweight title with a brutal knockout over American challenger Chris Avalos in a raucous Belfast. Both fighters weren't afraid to exchange shots early on, and Frampton found himself to be more effective while dishing out the punishment as The Jackal rocked his man on a number of occasions in the early rounds. Frampton once again got to his man, and a stinging jab tumbled Avalos backwards into retreat mode as The Irishman began to take full control. The challenger lunged in to try and offer a new dimension to what Frampton has had to face before but to no avail as he was constantly sent packing by beautifully timed shots. The champion would yet again stagger Avalos in the fifth but to much deeper effect. The American tumbled backwards onto the ropes and felt the wrath of quick, sharp, hurtful combinations from a relentless Frampton. In desperation, Avalos crashed to the canvas but his bravey wasn't rewarded with survival as even more brutal punishment resumed to force referee Howard Foster to call a halt to proceedings. Arthur Abraham toppled a resilient Paul Smith on points to retain his WBO super-middleweight title in a hard-hitting rematch; contested at the O2 World Arena, Berlin. Smith implemented his gameplan early in the fight as the Liverpudlian clattered Abraham's mid-section with stinging left hooks as the high, tight, irremovable guard of the champion remained firm at all times. It was clear that Abraham turned up a much more organised, prepared, determined fighter than before and that became evident when solid combinations began to take their toll on the brave, gutsy challenger who found himself on the end of several assaults against the ropes. Abraham continued to pile on the pressure late on, but Smith absorbed all the German's power and remained unbroken. The challenger left everything in the ring, but against a refreshed, improved Abraham it just wasn't enough on the night as he departed Berlin a points loser. Gennady Golovkin battered a brave Martin Murray throughout a one-sided contest that needed 11 round to conclude; testament to the Brit's amazing heart and will. The Kazakh champion cut off the ring early and closed the distance; trapping Murray on the ropes. Golovkin landed brutal punches to the head and body but the hardest thing for his British challenger to deal with was the fact that when he covered upstairs, Golovkin clattered his mid-section, vice versa, and unusual punching angles made it so difficult for Murray. The champion had his man on the floor after a sickening body shot connected at full force. Murray tumbled backwards and took to his knees while in excruciating pain. He survived, but a bloody nose didn't help matters either. Murray's heart was absolutely incredible because Golovkin continued to batter him with ruthless shots at such a relentless pace and while he soaked it all up beforehand, the referee felt enough was enough come the 11th round. Golovkin landed a solid right that staggered Murray backwards onto the ropes, and at the beginning of yet another dreadful assault on the ropes, the official saved the St. Helens man from a beating and called a halt to proceedings. Brian Rose was controversially stopped by Carson Jones in his hometown Blackpool in just the third round of a fight that toppled a packed Prizefighter bill. The stoppage came when Jones clearly rocked Rose with a solid right hand, and snappy combinations following that put the Blackpool man under increasing pressure. At one point of the ongoing assault it seemed Rose would eventually recover but another big shot pummeling through his guard forced Ian-John Lewis to call a halt to the contest. Rose disputed the decision, and took his understandable anger out backstage while in the ring Jones and promoter Eddie Hearn said they would both be interested in a rematch. On the undercard, Tom Doran knocked out former Prizefighter contestant Cello Renda to stun the boxing community with an unlikely win that catapulted the middleweight into higher interest within the domestic scene. The spectacle that is the Super Bowl took over the first Sunday of the month, and it was an instant-classic played out between the Seattle Seahawks and the New England Patriots. 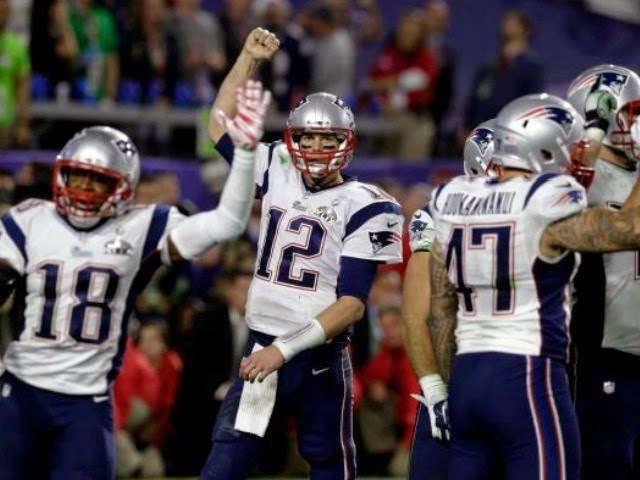 As 70, 288 spectators watched in in Glendale's University of Pheonix Stadium, the New England Patriots fought back to give them a fourth win in the Belichik-Brady era. Following a defensive, cautious start the game would fire up when Wilson connected with Matthews for 11 yards to score, changing the momentum as Brady drove down the field in under 2 minutes for 80 yards, finding the renowned Gronkowski in the end zone. Following an elaborate half-time performance from Katy Perry, Seahawks began to break away and in the third quarter saw themselves nearing in on victory. Seattle would turnover after Brady found Amendola, then on a 64-yard drive Patriots took the lead. One of the most questionable play-calls in Super Bowl history would then occur as Seahawks threw the ball when they neared the end zone and it was picked of my Malcolm Butler. A fight broke out as Patriots prepared to put a knee down, but through dramatic circumstances, New England were the winners of Super Bowl 49. While the "Time is Now" may have shrugged off some momentum, two solid fight nights and a Women's Bantamweight title fight which is a few hours away. 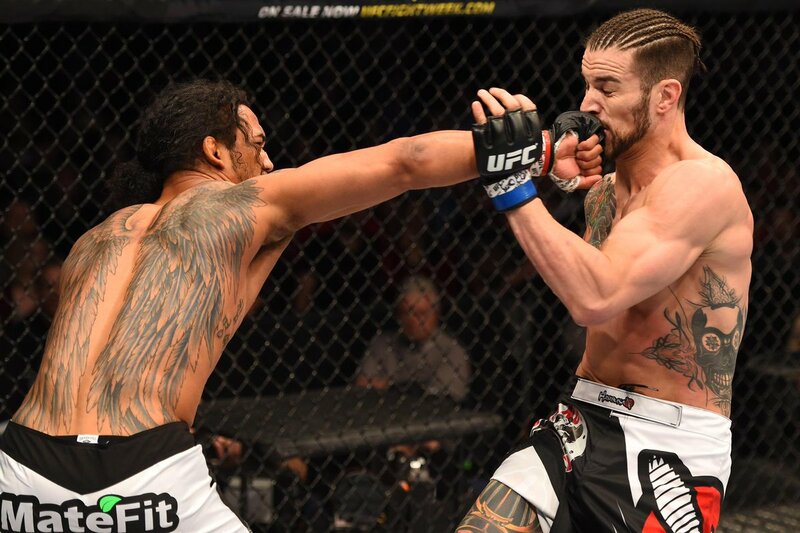 Former Lightweight Champion Benson Henderson's move to the Welterweight division kicked off the month with UFC Broomfield. Facing a durable opponent in the upcoming Brandon Thatch, a well-contested main event would conclude in the fourth-round as "Smooth" managed to choke out the prospect impressively. Earlier in the night, Max Holloway was victorious over Cole Miller. A week later, a rare batch of Sunday night fights were in store as Antonio "Bigfoot" Silva once again occupied a main-event slot hosting Heavyweight veteran Frank Mir in Porto Alegre, Brazil. He would once again though be floored and finished in the confines of the first round as the former-Heavyweight Champion Mir scored a TKO stoppage 3:19 into the opening bracket, setting his sights on a potential Lesnar fight while there was more misery for Bigfoot. But, more drug scandals would dominate the headlines. Anderson Silva, having defeated Nick Diaz in a return fight, received the results of his drug test and was positive for steroid usage, putting his legacy into question. A "Welcome to the Show" press conference also highlighted the major fights coming up on the schedule, including a blockbuster Weidman-Belfort and Jones-Rumble on the same card, yes, you read that right. UFC 184 is ongoing but it will be a huge way to end February. Atlanta Hawks phenomenal 19-game win streak ended early in February at the hands of the New Orleans Pelicans, but the soaring Hawks remained a threat to be reckoned with and the top dogs in the East. 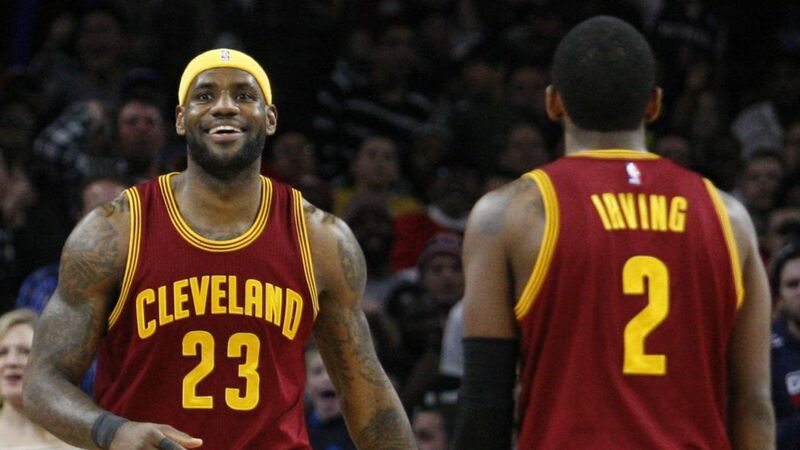 Still 7 wins in front of the nearest four teams, they were in a commanding position, but LeBron James and Cleveland Cavaliers also began to find the form that was expected of them from the start of the season. Oklahoma City, meanwhile were being thrown forward by Westbrook who fittingly enough threw himself into the MVP conversation. Over in the West it was all going down, with James Harden and Steph Curry keeping that debate alive as well - Curry who even managed a White House visit in that time. But, all eyes would be focused on New York for one special weekend, the All-Star weekend. Russell Westbrook came up big as West became the best for yet another year in the highest scoring game in All-Star history. The dunk contest was won by Zach LaVine who stole the show on the Saturday night, while Steph Curry lit up the 3-point contest. What many had touted as an NBA Finals' preview, the Golden State Warriors were toppled by Cleveland at the QuickenLoans late in the month, but remained well on top of the West. San Antonio struggled, but speaking of struggles, Derrick Rose suffered another injury setback ruling him out for a minimum of 4 weeks from the Bulls. Down at the bottom of the East, all was to play for, with 2 wins separating the 6 teams around that area. In February we were put on the Fast Lane to WrestleMania as everyone upped their game ahead of the huge spectacle that will take place next month. Triple H kicked off the month with a ground-breaking announcement as he revealed that Roman Reigns would have to re-earn the WrestleMania spot which he won at the Royal Rumble. Daniel Bryan defeated Seth Rollins to match the former Shield power-house at Fast Lane. But before that, NXT would be making noises everywhere with another thrilling NXT Takeover: Arrival. Finn Balor solidified No.1 contendership for the NXT Championship which would change hands from Sami Zayn to Kevin Owens after a brutal stoppage. Kevin Owens made his mark ending February by attacking commentator Alex Riley. The Authority put the odds on Reigns and Bryan, and things got heated prior to Fast Lane with a brawl breaking out. Sting meanwhile accepted Triple H's challenge, while Bray Wyatt continued to deliver cryptic messages. All that would come to a head at Fast Lane. Roman Reigns booked a spot to challenge for Brock Lesnar's WWE Championship after prevailing against Daniel Bryan in a hotly-contested main event. But, before that, Rusev shocked the World by submitting John Cena, after Sting laid down a huge WrestleMania challenge of Triple H.
We had thought The Undertaker returned, only for Bray Wyatt to emerge from a coffin and challenge the Deadman to a WrestleMania match. You can read about what happened at Fast Lane here. There was quite a lot more sport to get into also, including Formula 1, tennis and rugby. Ahead of the start of the new F1 season, testing was taking centre stage but an injury to Fernando Alonso overshadowed the news. The McLaren driver lost control at 134mph and was airlifted to hospital with a lot of questions surrounding the accident. Fortunately it wasn't life-threatening but there are still doubts of his fitness for the new season. Roger Federer defeated Novak Djokovic to clinch the Dubai title. Winning 6-3, 7-5, the Swiss passed 9,000 aces in singles matches as he managed to keep ahead of Djokovic despite clawing back a set point. In the World Series, the NRL Aussies prevailed over the Super League (full recap). It's been another wild month of sport. The European leagues are acclimatising for nervy finishes, WrestleMania nears, the Cricket World Cup delivers amazing moments, New England triumph... Now we March on to the next month. Reviewing the biggest and best sports news and events from February 2015.